Holly Hill sells fun. As a matter of fact, we guarantee it! We also sell pool noodles. 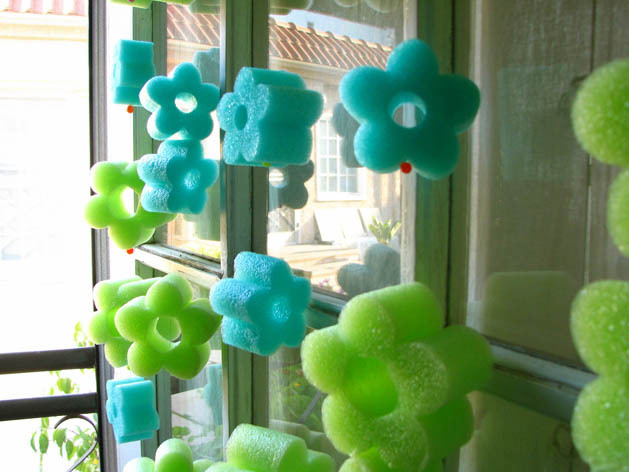 Now I’m sure you’ve been having fun with pool noodles for years but I bet you never knew just how much fun they could be…especially when you add in a little craftiness, am I right? 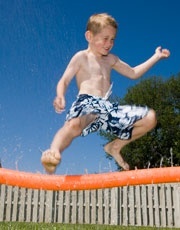 We’ve all used them as water guns, swords and floatation devices, but here are some different ways of using them that maybe you never thought of before. 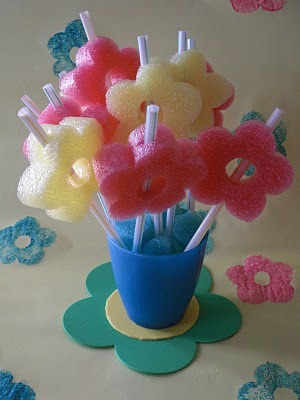 These are so easy to make and look so adorable floating around in the pool! 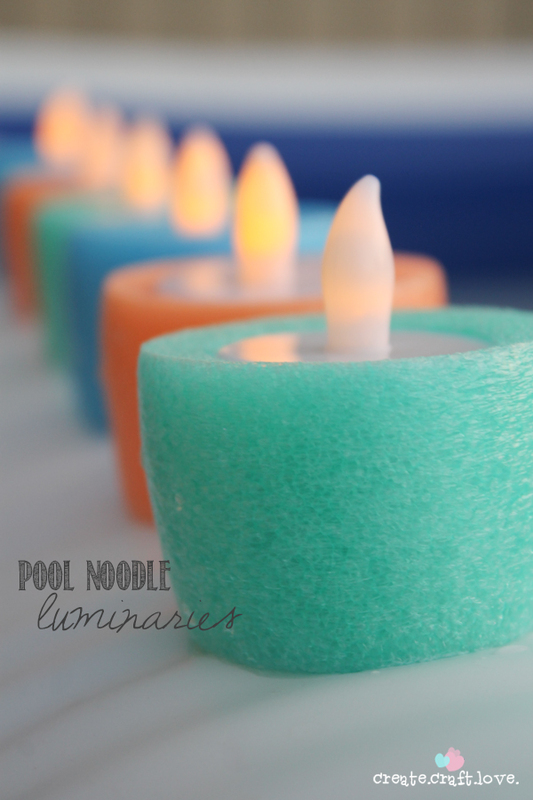 All you need is a noodle (obviously), LED tea lights, plastic wrap, a rubber band and scissors. For a full tutorial, click here. 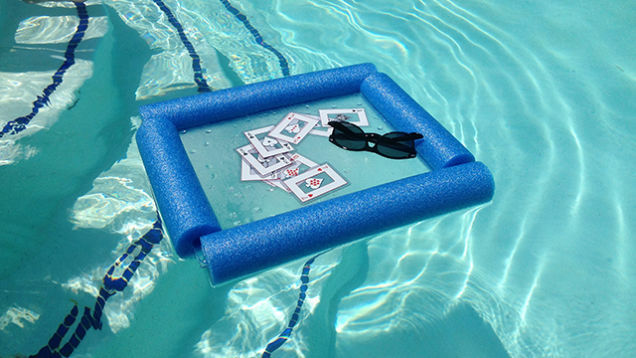 Another very easy, yet totally useful item to have in your pool is a floating tabletop. Pick up a cutting board (or any other kind of thin, flat surface that’s waterproof) & guess what else? Surprise…a noodle! Cut the noodle so it matches the sides of your cutting board. Next make slits down the noodle and insert the cutting board. That’s it! Now, go find a waterproof deck of cards and you’ve got yourself a party. I spoke too soon about the party. 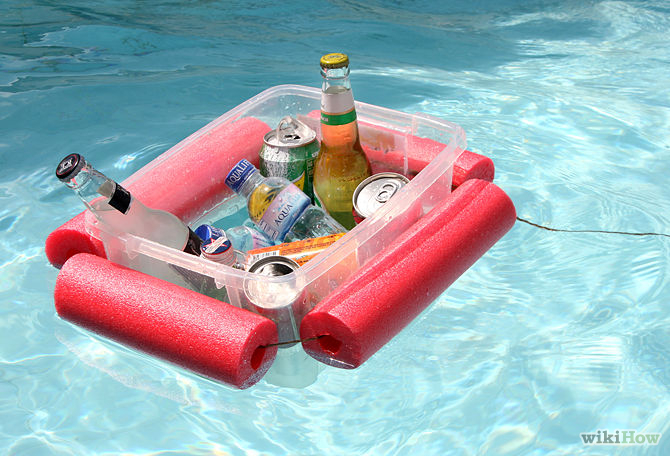 Make your very own beverage boat, and NOW let the real party begin! Here is a link for the full tutorial. Speaking of party…did somebody say noodle decorations?? I think so! Cut your noodles into 1-2 inch sections and string them up using some fishing line. Voila! Pool party decor! While you’re cutting your noodles into little pieces for decorations, why not use some of them to make some party straws?! Use the same 1-2 inch sections and poke a hole through them for a straw. Fun! Wondering what to do with your cut-up noodles after the party is over? Well, wonder no more! 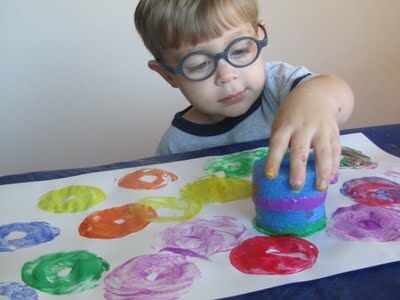 Grab some paper and paint and use the noodles as stamps! Here’s a little twist on your boring, old sprinkler! Grab a screwdriver and a hose and something to plug up 1 end of your noodle (a rag works.) Poke holes all throughout your noodle, plug up 1 end and stick the hose in the other. Turn on the hose and the fun! You can really get creative with this one. 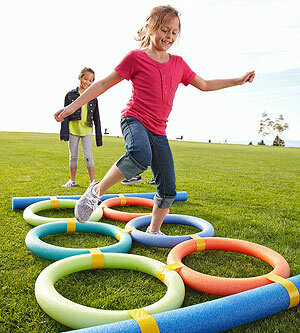 More noodles = more obstacles = more fun! Maybe your party got rained out but you still need to keep the kids busy indoors. Once again, noodles to the rescue! This one works as both an indoor and an outdoor activity and all you need to do is cut the noodle in half and boom! 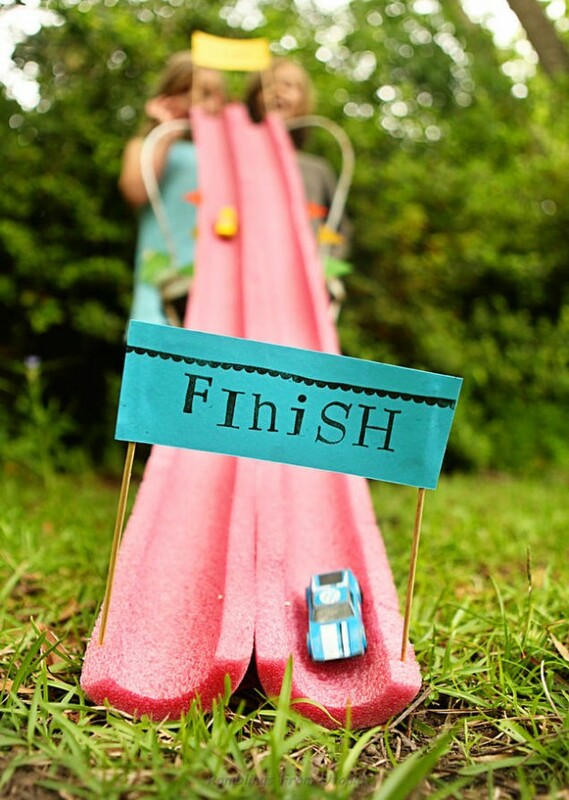 Instant racetrack! Just because the party is over does not mean you should give up on your noodles. They are a great addition to your pool workout! For step-by-step instructions on all of SELF magazine’s ultimate noodle workouts, click here. ‹ Check Out Our Staten Islander of the Week!